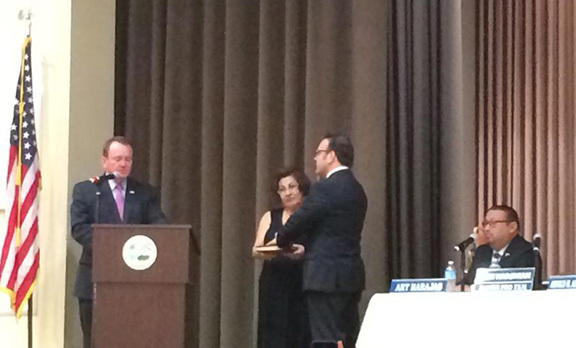 On Tuesday, November 25, 2014, during a special ceremony held at Bagramian Hall of Holy Cross Cathedral in Montebello, Jack Hadjinian was sworn in as the first Armenian Mayor of the City of Montebello. 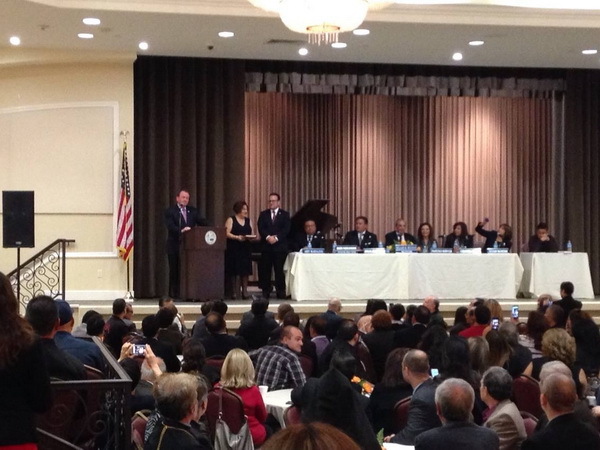 The Oath of Office was administered by L.A. County Sheriff-Elect Jim McDonnell. 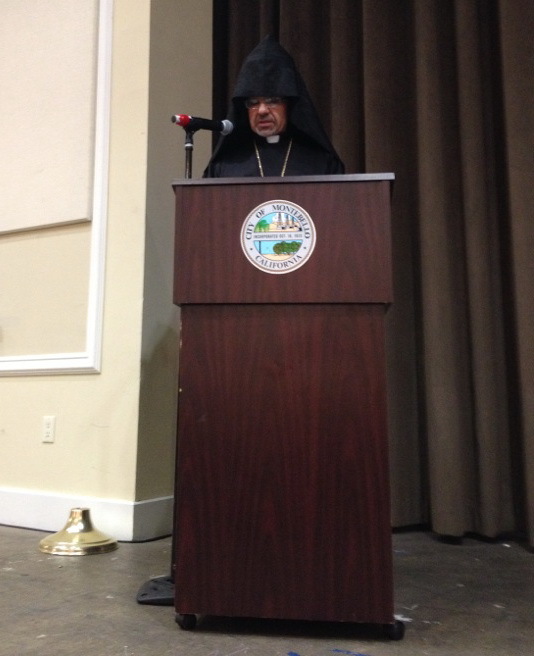 Mayor Hadjinian is a long time member of Holy Cross Cathedral. 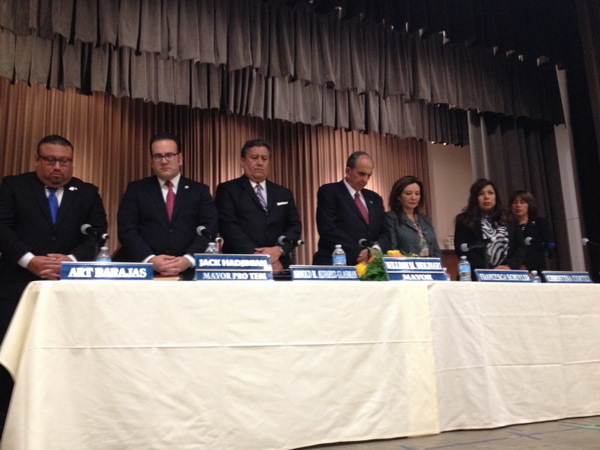 He currently serves as a Delegate and was previously a Board of Trustees member. The Prelate attended the ceremony, accompanied by Holy Cross Cathedral Dean, Very Rev. Fr. 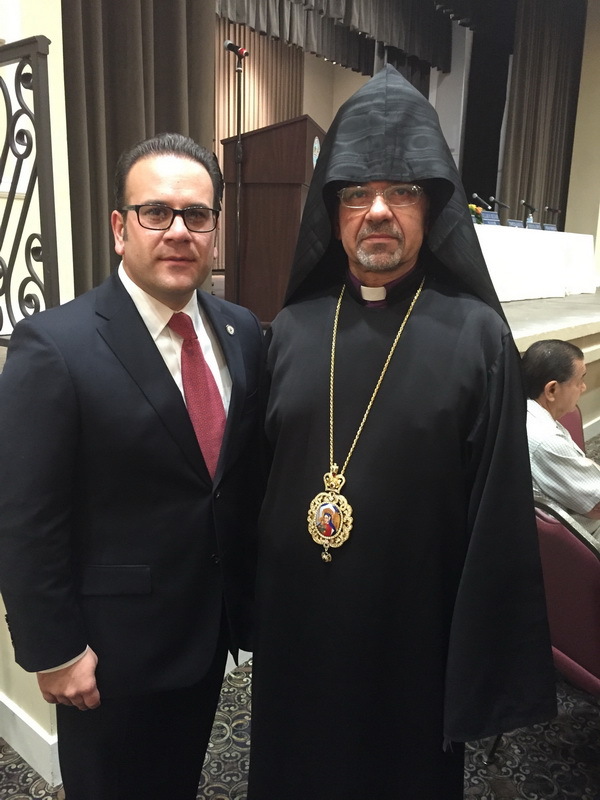 Muron Aznikian, and Pastor, Rev. Fr. 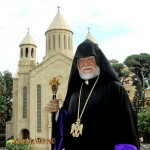 Ashod Kambourian. Executive Council members Mr. Vahrij Pilavjian and Mrs. Alisa Konanyan were also in attendance. 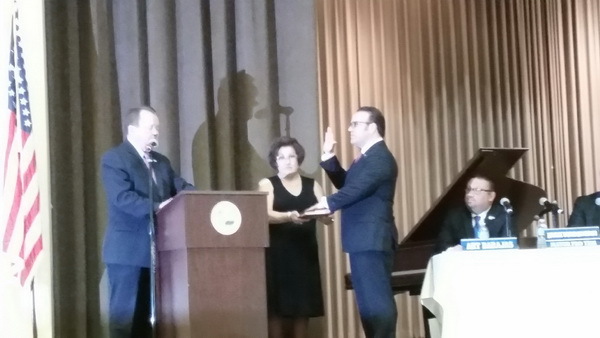 His Eminence delivered the invocation, asking for the Lord to watch over the new Mayor and guide him to serve and lead with integrity and goodness for the progress and prosperity of the city of Montebello and its residents. 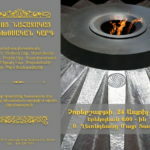 “Lord, as he assumes his new responsibilities this evening, we ask that You grant strength to Your servant to persevere in the face of challenges and fulfill his mighty duties worthily and capably, as an upright leader, truly representing the needs of the people and working in harmony with his peers to secure the welfare of all the men, women, and children who are proud to call this city home,” concluded the invocation. 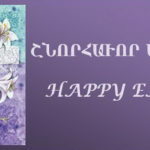 The Prelate congratulated the new Mayor and wished him the best of luck and great successes in his new mission, expressing confidence that he will serve with honor and dedication for the advancement of the city he now heads.